Take a look back at 007 MAGAZINE's coverage of SPECTRE, Daniel Craig's fourth outing as 007 and the 24th entry in the official James Bond film series! From pre-production, casting, through the shooting of the film in Europe and London; its October 2015 premiere and worldwide release; the reviews and promotional tie-ins. 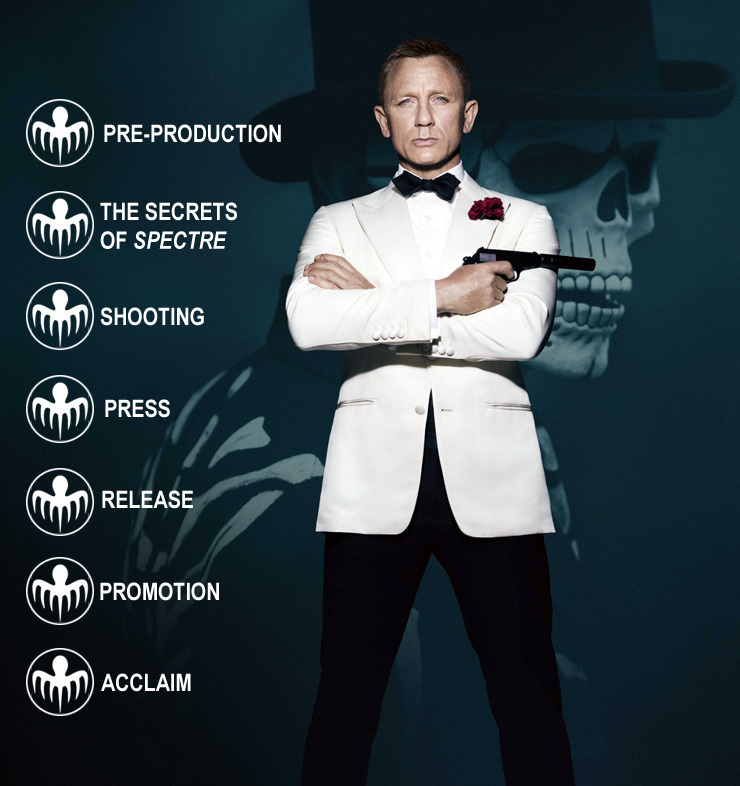 The complete guide to the making and release of SPECTRE!